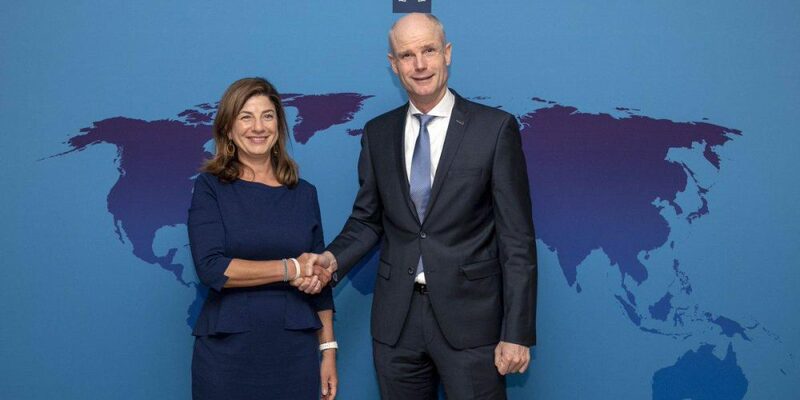 The Dutch Ministry of Foreign Affairs (MFA) facilitated ICMP’s move to Headquarters in The Hague in 2015 and also ICMP’s laboratory transition to The Hague, which was completed at the end of 2017. Since this relocation, ICMP has developed its existing partnership with the Netherlands Forensic Institute, and forged ties with Rotterdam University and Leiden University, including through HumanityX , an initiative that serves as the innovation engine of The Hague Humanity Hub. ICMP has been able to develop the operational capacity of its laboratory and begin applying next generation DNA technologies that will advance the science of human identification, which is critical to providing irrefutable evidence of a person’s identity. From 2015 to 2018, the MFA and the City of The Hague granted ICMP more than 2.5 Million EUR, enabling it to implement, through its Headquarters, core programs that are essential to carry out its global work. The Dutch authorities indicated at the end of last year that they will provide funding of 1.5 million EUR over three years beginning in 2019 so that ICMP can maintain core Headquarters capacities that are needed in order to carry out its work. Dutch support has helped ICMP, among other things, to set in place systems in Iraq that will assist in identifying those missing from ISIS crimes, launch a new program to gather information about missing persons from Syrians who have sought refuge in countries neighboring Syria, support legislative and institutional processes in Colombia that will ensure that the missing persons framework established under the 2016 peace agreement can operate successfully, test DNA samples from victims of enforced disappearance from the 1964-85 military dictatorship in Brazil, improve the capacity and coordination of countries in the Mediterranean, including Italy, Greece, Malta and Cyprus, to account for missing migrants, and strengthen stakeholder networks among civil society, government officials, and international organizations engaged in the missing persons issue. The Netherlands was one of ICMP’s the earliest supporters after it was established in 1996, and has been a major and long-standing donor to ICMP’s Western Balkans Program. It has also supported ICMP’s development in response to the global challenge of missing persons. The issue affects countries throughout the world and has multiple causes. ICMP’s mandate is to secure the cooperation of governments and others in locating missing persons from conflict, human rights abuses, disasters, organized crime, irregular migration and other causes and to assist them in doing so. It is the only international organization tasked exclusively to work on the issue of missing persons.